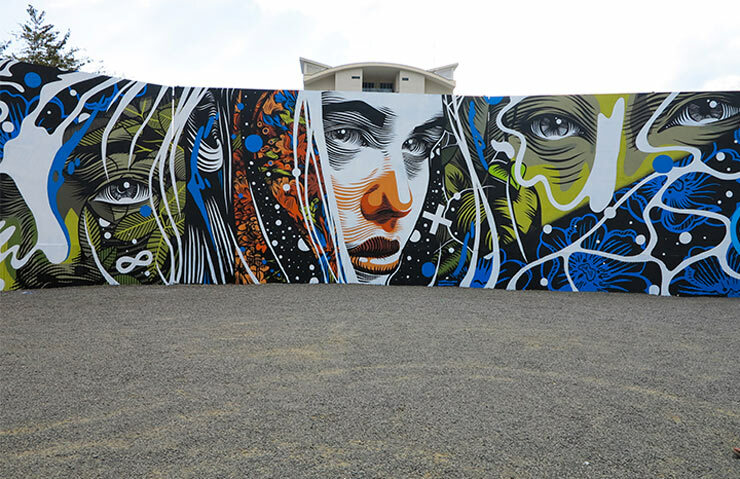 The Madrid born illustrator Fabio Lopez aka DOURONE just completed his new mural with Elodieloll in the Costa Rican village of Jacó. 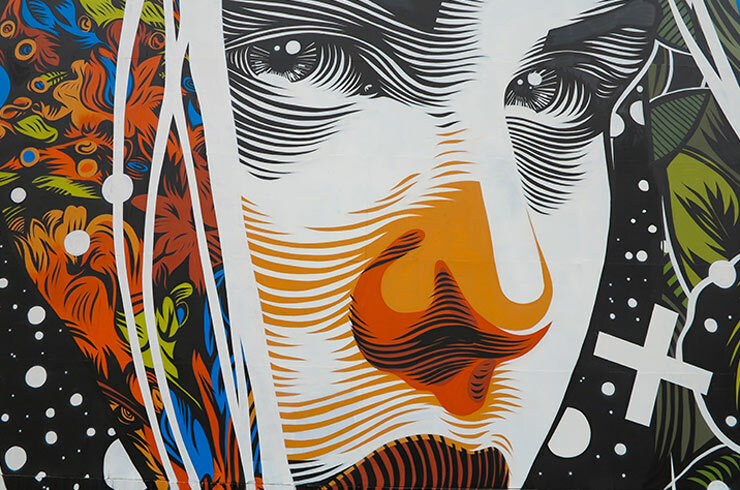 You may be familiar with his earlier monochrome figurative and surreal work, perhaps reminding you of the Dutch graphic artist Maurits Cornelis Escher, who made woodcuts and lithographs that are somehow recalled in these images. 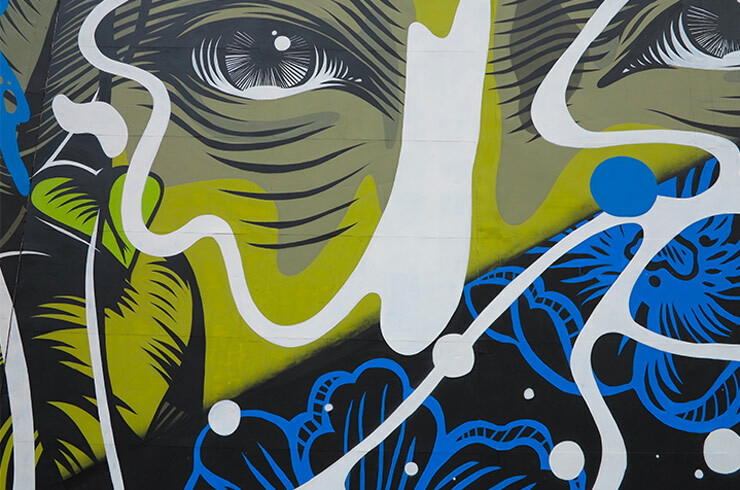 Most recently you may recall his black and white mural with Elodieloll in downtown LA last spring for the DoArt foundation and the local business improvement district. 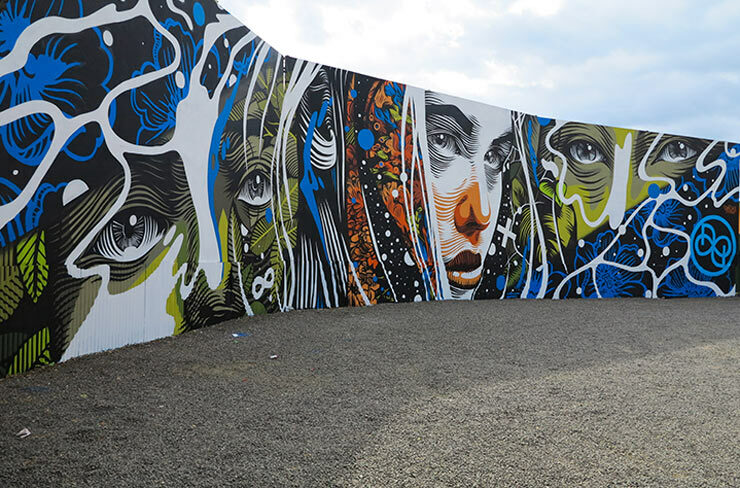 Now he is incorporating more color into the illustrations and they remain aesthetically decorative with images of faces and abstractions. 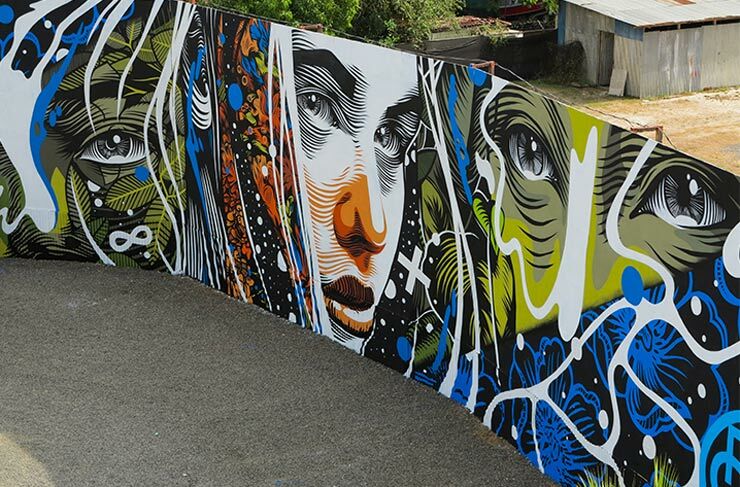 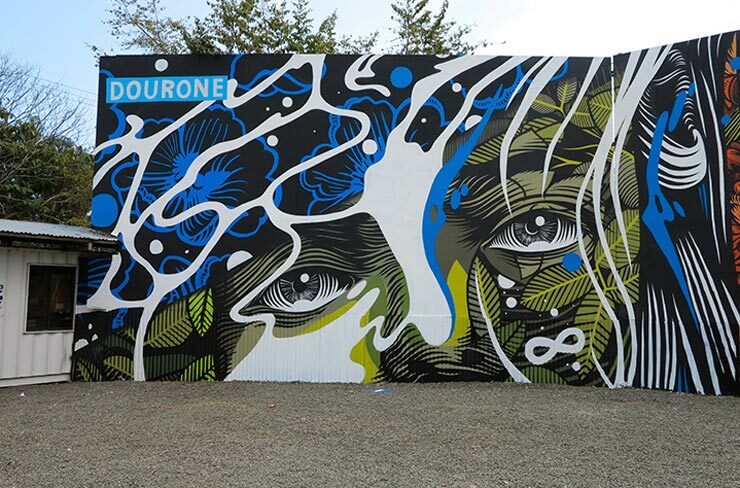 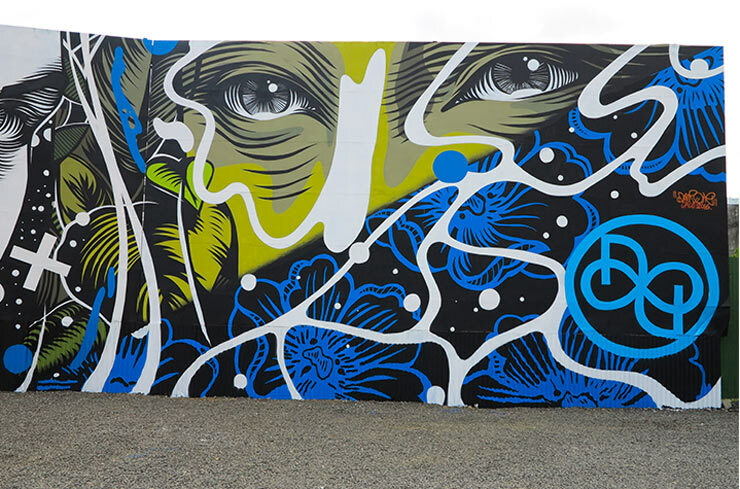 A commercial artist by trade, DOURONE’s self-taught style has enabled him to work with a number of lifestyle and spirit brands, an evolution in style from his public aerosol genesis as a graffiti writer. 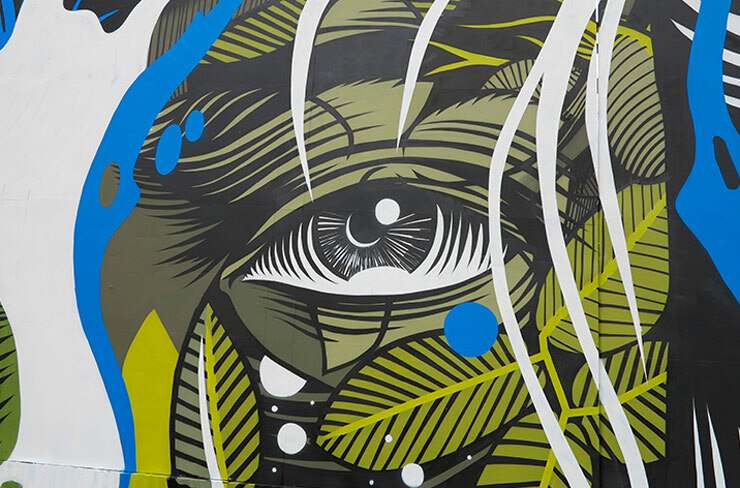 The new wall is titled “Pura Vida”, is 7 x 30 meters, and incorporates elements of Jacó’s landscape and the amazing sunsets he and Elodieloll enjoyed while there.